Randwick City Council is working with NSW Police to address the ongoing issue in the La Perouse and Phillip Bay area caused by so called ‘car hoons’. This is a known and ongoing issue for local residents in this area and we’re trying hard to fix the problem. We’re aware that large groups of car enthusiasts regularly coordinate meet ups around La Perouse and Phillip Bay and gather for extended periods of time, most commonly during the evenings on weekends. These gatherings often result in many modified cars driving around the area and parking on residential streets. There is loud talking, engine revving and sometimes car racing, burn-outs and other anti-social and sometimes illegal activity taking place. Council is committed to reducing this type of behaviour and improving the quality of life for residents in this area. This is a challenging behaviour for both Council and the Police to resolve as quite frequently while the behaviour is disruptive, it is not necessarily illegal which limits the ability for Police and Council to take action. Council is undertaking a range of activities to reduce the incidents of car hoons gathering in this area. 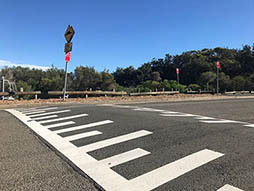 Randwick City Council has installed temporary traffic calming devices along Yarra Road in Phillip Bay to narrow sections of the residential street to one lane as well as installing high visibility barricades and speed humps. The changes are the latest initiative by the Council and local police to address an ongoing problem for the area. CCTV has been installed at known hotspots. Footage from these cameras is transferred live to local police headquarters to assist in proactive and reactive policing. This tool gives police the ability to respond to issues as they occur and also to follow up and prosecute offenders. A gate has been installed at the Yarra Bay Sailing Club to limit access to this area at certain times. The gate can be locked by police to help manage anti-social behaviour. 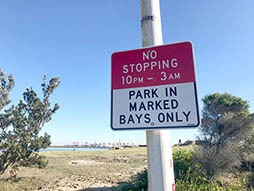 Council has introduced No Stopping restrictions between in the evening around The Loop at La Perouse to stop people parking in this area. These restrictions make it an offence to park in these locations at night and give the police the opportunity to fine and move on car hoons. This strategy has been effective at limiting people congregating in these areas. 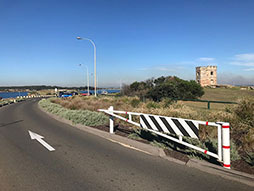 Council has installed a gate at the start of The Loop circuit at La Perouse. This gate was installed during a major upgrade of the area by Council in 2011. The gate can be locked by local police during the evening to limit vehicles entering The Loop. This essentially stops this area being accessed by large groups of car enthusiasts and discourages visiting this area. Council has installed speed humps along a number of streets in the La Perouse area. These speed humps help slow traffic speeds and discourage highly modified and lowered vehicles. Council is mindful to consult with local residents prior to installing these types of devices as their use can result in increased noise from vehicles going over the bumps and the additional braking and acceleration. If car hoon activity is a problem in your area please report it to the Eastern Beaches Local Area Command. The police are primarily responsible for public safety and addressing illegal or anti-social behaviour. The police regularly task police to patrol known problem areas and they also respond to complaints from residents. Randwick Council is responsible for the public domain and the public roads and footpaths. You can contact Council though our Contact us page. If a crime or serious incident is occurring please call triple zero (000).